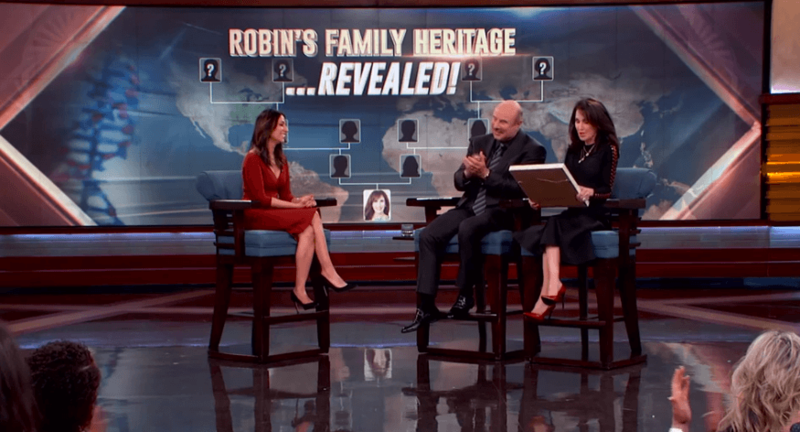 In December 2018, television personality Dr. Phil welcomed MyHeritage consultant Yvette Corporon to his show to reveal previously unknown details about his family history. Recently, he again invited MyHeritage to the show to do the same for his wife of 41 years, Robin McGraw. Robin is an entrepreneur, a #1 New York Times-bestselling author, a philanthropist, and a media personality. She is the founder of Robin McGraw Revelation, a line of skincare and beauty products. More than 2.5 million copies of Robin’s books have sold worldwide. MyHeritage scoured our genealogical records, and found 93 people in Robin’s family tree, going back seven generations! The earliest ancestor we could trace was James Edwin Jones, Jr., born in 1763 in North Carolina and served in the Revolutionary War. We even discovered from whom Robin inherited her business savvy and passion for helping other women look and feel their best! 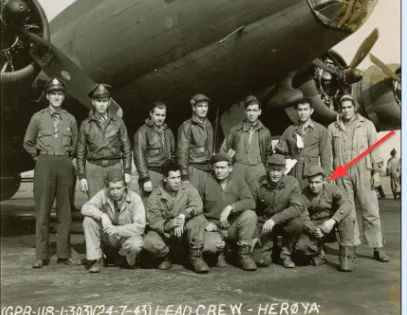 Robin’s father, Jimmie, joined the army as World War II broke out. Jimmie’s marriage to Georgia Mae Drake — Robin’s mother — was published in The Daily Oklahoman on September 24, 1944. The article also shares lovely details about the wedding. Robin’s mom wore a blue dress and a corsage of sweetheart roses. It turns out that Jimmie was not the only war hero in Robin’s family. Many of Robin’s ancestors served in the US Army. Jimmie was following in his father’s footsteps. 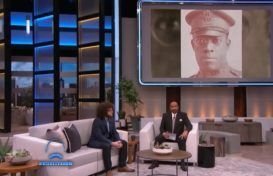 His father Jay Jameson (Robin’s grandfather) served in World War I.
Robin’s third great-grandfather, Garsham Bills Jones, served in the Civil War. Robin’s fourth great-grandfather, John Randles, was a veteran of the War of 1812, and her fifth great-grandfather, James Edwin Jones, was a soldier in the Revolutionary War. 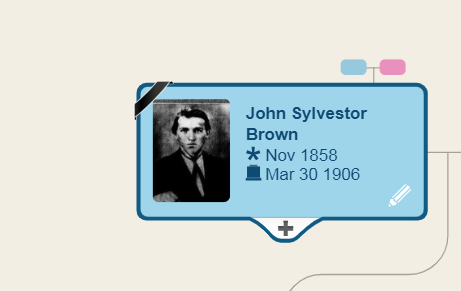 Robin’s great-grandfather, John Brown, was the victim of a murder on the streets of Alvord, Texas. In August 1905, John Brown, a carpenter from Texas, shot and wounded a man named Bud Ham, 19. A newspaper article published on August 5,1905 reported that Brown had a daughter, 16, and he alleged that Ham had seduced her. A warrant was sworn out for Ham and he was arrested. In front of a barber shop, Brown approached Ham with a pistol and shot him. Seven months later, on March 30, 1906, the two met again and argued. Then Ham, as reported in the local newspaper, “went away, returning a few moments later with a double-barreled shotgun” and shot Brown, killing him instantly. We mentioned earlier that Robin is the founder of Robin McGraw Revelation, a skincare and lifestyle brand, and she may have inherited this from her grandmother, Opal Jameson. In the 1930 US census, Opal’s occupation is listed as a beautician who ran her own beauty shop. Robin was delighted to learn more about her “Granny Opal” whom she so admired. With all the brave men and enterprising women in Robin’s family, it’s no wonder where her life successes have come from. Robin was thrilled that MyHeritage was able to uncover all of these remarkable historical records, images and family stories. Are you looking to discover more about your family history? We are excited to share a special 14-day free trial where you can unlock all of the MyHeritage advanced features and find your own incredible stories. Visit myheritage.com/Drphil today to learn more!